I'm normally not a fan of wonky, but this quilt really spoke to me. There's something so playful and eye-catching about the color play and value placement. I love it! Again, the colors here are so intriguing to me - colors I would never consider putting together, but love now that I see them! I love new-to-me quilting techniques, and these free-motion loops look doable and fresh. 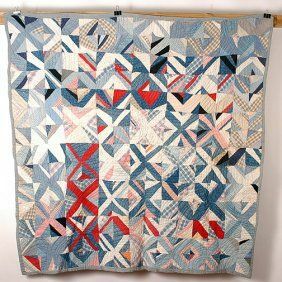 I don't recognize many of the fabrics, but they work together so well in this simple patchwork quilt. Lovely! 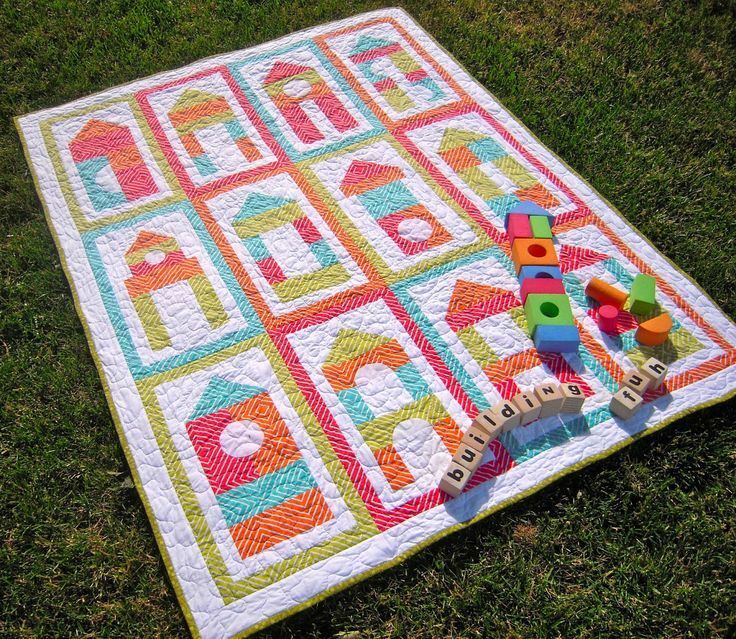 What a fun kid's quilt pattern! I love how the quilter said, "It's one of the first patterns I pinned on Pinterest and I finally had to break down and make it." This photograph with the building blocks on top is adorable and so smart. I'm a big fan of the new Arizona fabric line for April Rhodes for Art Gallery. This quilt borrows inspiration from the backing fabric for a really unique take on a triangle quilt, and looks super snuggly. Who doesn't love quilts (and quilt blocks) with feet? This pin makes me smile. If you can get the whole family involved in a quilt block photo shoot, why not?! The center, classic Swoon block is my fave. // Mosaic Tuesday // Where do you look for color inspiration? 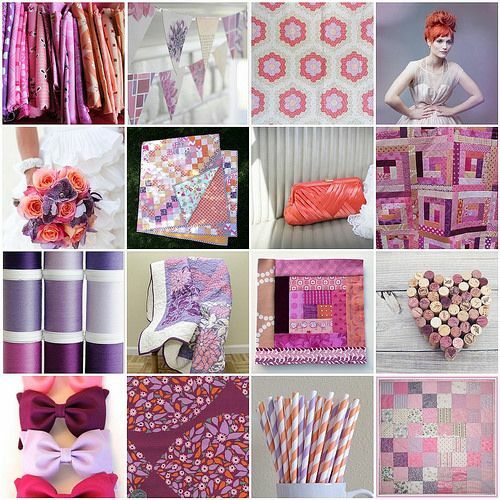 I like this collage because it goes beyond wild orchid and ties in complementary pinks, peaches and plums. If I could eat this collage, I would. Now it's your turn! Show us your best pins. - Please follow me on Pinterest and follow Lindsay on Pinterest. You'll be able to see all of our quilty pins and repins this way.